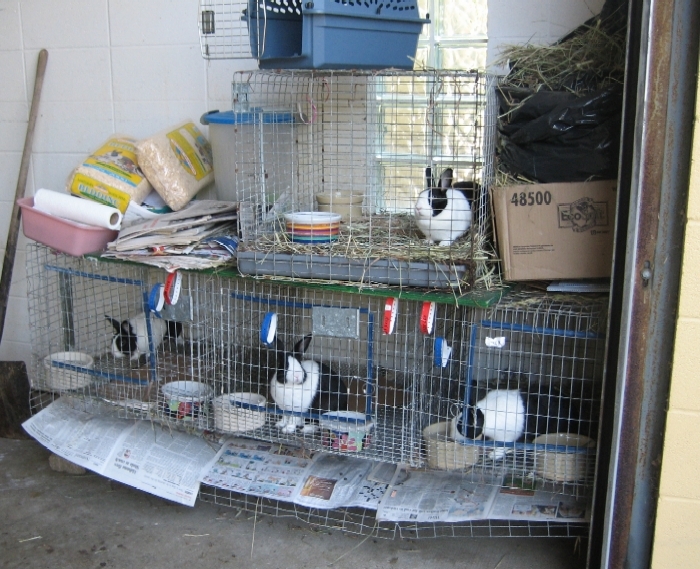 Sunday we pulled over 50 rabbits from the shelter to move into foster care with our group and a couple other rescues. I pulled the last four from the noisy quarantined dog area. 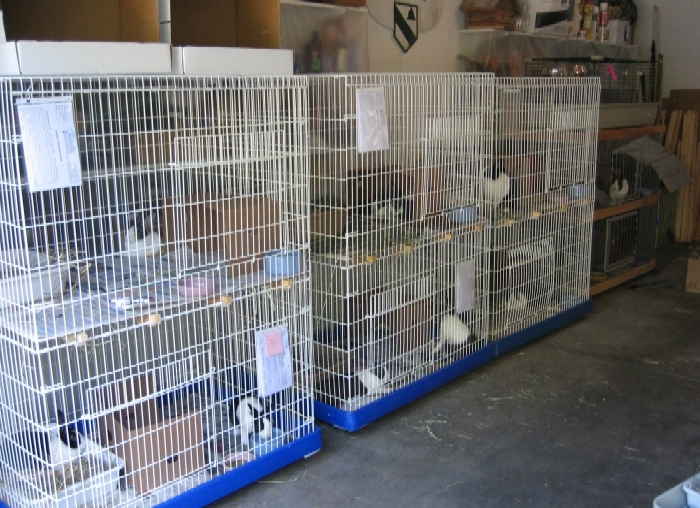 We moved 28 bunnies to a Louisville foster home to stage them for alteration and moving toward Indy. The rest went to Indy and a couple are headed to Chicago. This little girl has a bum leg but gets around great. She was really excited to be in her new digs. 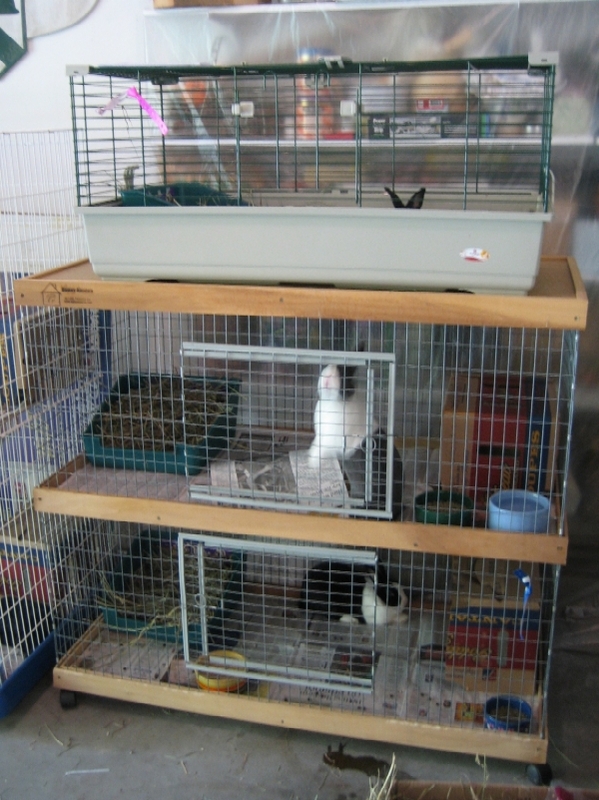 While I saw several deceased cats lined up in the euthanasia room, cage cards propped on their bodies before they were sent to the freezer or incinerator, at least one non-bunny life was saved this week. One of our volunteers ran into a sweet Great Pyrenees who had been caught as a stray. Her nails had grown into her feet, which were too bloody to leave her in the regular kennels, so she was chained in an area we passed through on the way to some of the rabbit cages. 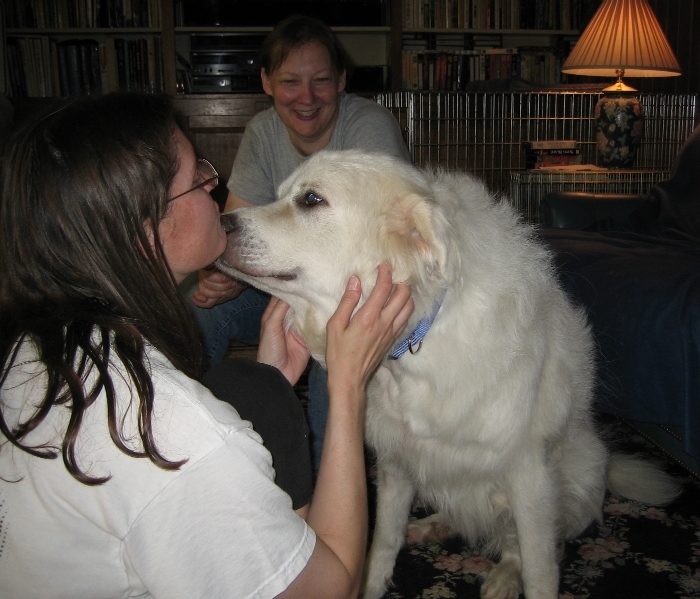 Our volunteer had Pyrs in the past but did not plan to get another dog until the right one found her. 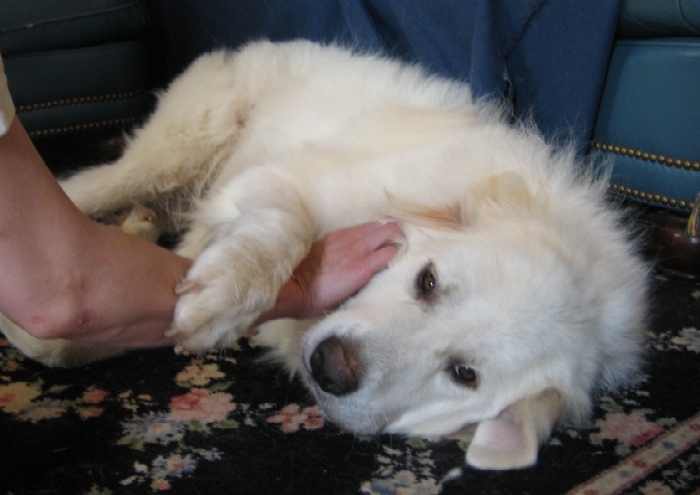 Mary found out that after the Pyr’s five stray hold days were up, the shelter was going to euthanize her, because they didn’t want to treat her feet, hot spots, and a wound on her neck. That’s typical high-volume shelter decision-making, but the dog met Mary because she was in bad shape and therefore tethered to the vet area door. Needless to say, she is home, and still needs a name! Abby’s a Pyr mix so I’m a sucker for Pyrs – what a sweet girl! I’m so sad she had to endure rough stuff but glad she has a forever home. 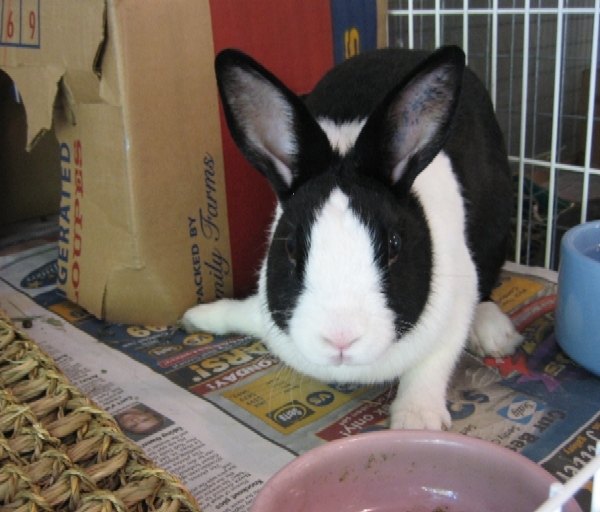 Last weekend I adopted Benjamin, a little Dutch rabbit that was one of the Louisville confiscation 100. He made it all the way to central Arkansas and I can tell you he is flourishing in his new home. My husband and I absolutely adore him and he has found his happy ending. Please visit my blog to read/see more about Benjamin!